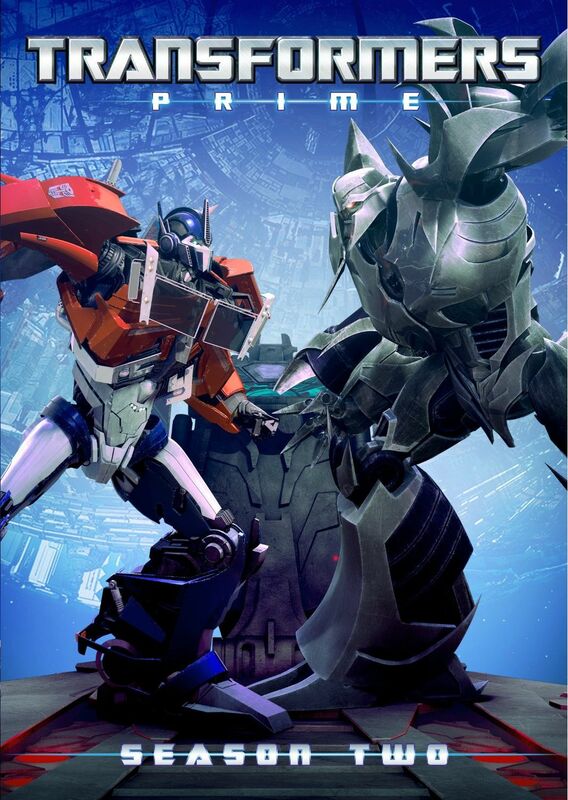 Transformers Prime Season Two arrived on Blu-ray back on November 20, 2012, and if you enjoyed the first season then you'll want to pick this one up as well. I really wish I would have reviewed it sooner, closer to when it was released, but I've had so much going on these past few months that I just hadn't had the time or energy to watch an entire season of anything. But they say good things come to those who wait, and in this case it's true. Season 2 is just as enjoyable as the first season. My review of the first season was my first ever Blu-ray review, and it looked fantastic. Season 2 continues with the same characters and animation, and looks just as good. he computer artwork is amazing, both on the intricately detailed Transformers as well as on the environments. The Transformers often show signs of real life, with textures and dirt, scratches, dents, and the like. I was curious if they artwork would improve at all for the new season, but it seems to have stayed the same. And that's fine, because it looks great. The story picks up after the end of season 1, with Optimus Prime losing all memory of his time as a Prime, and instead believing himself to be the pre-Prime Orion Pax, who was Megatron's friends. We get to see flashbacks of when Prime and Megatron worked together as friends, but I was disappointed that Megatron was never shown to be anything other than a bad guy. I would have really liked to have seen some goodness in him, and indications of how it would eventually be wiped out to turn him into the evil being we know him as today. That would have really given the character some depth, but unfortunately we don't get to see any of that. Well, we can always hope for season 3. New characters are introduced, but I don't want to spoil anything so I'll just leave that alone. The story has a few plot twists along the way, and eventually turns into a quest to find ancient Cybertornian artifacts scattered around earth. Each artifact is different, and are completely unknown until they are uncovered. I like that. Neither the Autobots nor Decepticons know what the artifacts are, but they'll fight to the death to be the first to obtain them. And they range from weapons to tools to knowledge, so it's quite a mixed bag. All the original cast of voices is back. Peter Cullen and Frank Welker are voicing of Optimus Prime and Megatron respectively, and Ernie Hudson returns as the primary adult human character Special Agent Fowler. Jeffrey Combs is Autobot medic Ratchet, Kevin Michael Richardson is Autobot strongman Bulkhead, Steve Blum is Decepticon Starscream, and Gina Torres (Zoe from Firefly) is Airachnid. Of course there are many other voice actors and all do a wonderful job, those are just the ones that I recognized. The three human kids, 16 year old Jack Darby, 15 year old Miko Nakadai, and 12 year old Raf Esquivel continue to play a large role in the series. I think they might actually play a larger role than the previous season, which I think is good since they add a lot of the human element to the series. And Special Agent William Fowler definitely plays a larger role this season, which is nice to see since I really like his character. He has become much closer with both the Autobots and the kids. The Bl-ray set includes 4 Blu-ray discs with all 26 episodes of season 2 and some cool extra features. There are some new interviews, and a panel from San Diego Comic-Con 2012 with Peter Cullen and Larry King.